Da Vinci Tank | A working re-creation of da Vinci's 15th century armoured tank! Ideal for learning about Leonardo da Vinci! 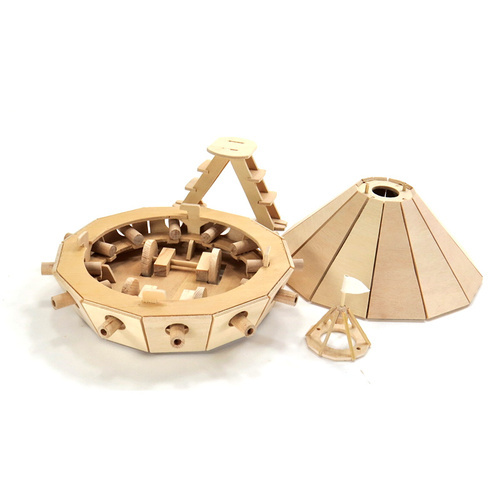 Build your very own working re-creation of Leonardo da Vinci's 15th century armoured tank. Da Vinci was a prolific inventor who came up with many amazing ideas for machines and weaponry! His tank was designed to defend the Lords and Dukes of the time, and had a unique drive train of gears to make it move! Whilst his drawings and gear design were technically flawed, many guessed that he had done this on purpose, in case his drawings were found by an enemy! Made from natural wood for durability, all of the pieces are pre-cut and drilled for easy assembly. And, as Leonardo often took inspiration from nature for his inventions, your tank looks just like a turtle shell! Coming complete with 360 degree mock cannons! 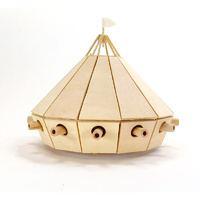 Have fun as you re-create da Vinci's iconic armoured vehicle (minus the gears on the wheels due to the small size). Your vehicle includes a platform for a lookout and a removable, lockable top so that you can see the inner workings! 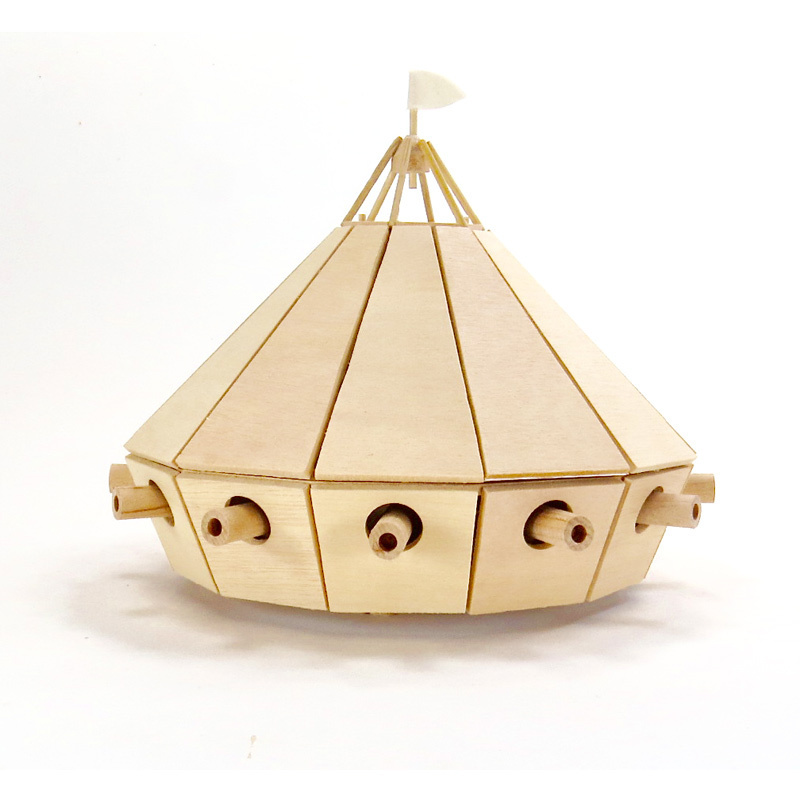 An educational gift for hobbyists, model builders and school children. It's easy to complete in just a few hours! Also required but not included: Scissors and a ruler (white glue is included). Dimensions once assembled: 17cm tall x 20cm across.